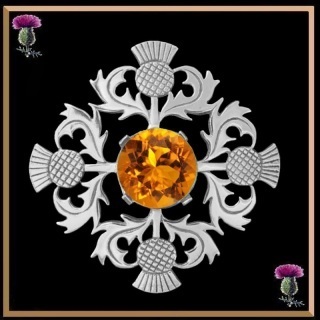 This exquisitely detailed brooch combines the emblem of Scotland, the prickly thistle with the two popular Scottish stones. the amethyst and the cairngorm. A very dramatic presentation. 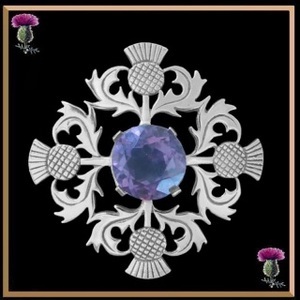 This is the largest of our brooches. Measurement: 2" by 2" (50mm x 50mm) Crest: 11/16" (19.5mm) in diameter. Solid sterling silver.